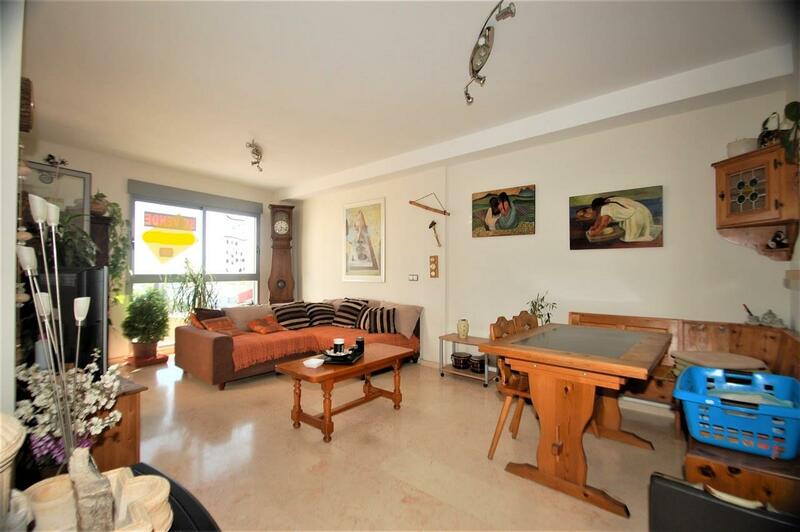 This duplex penthouse (with lift) located in El Vergel town is practically as new, although it was built in 2007. 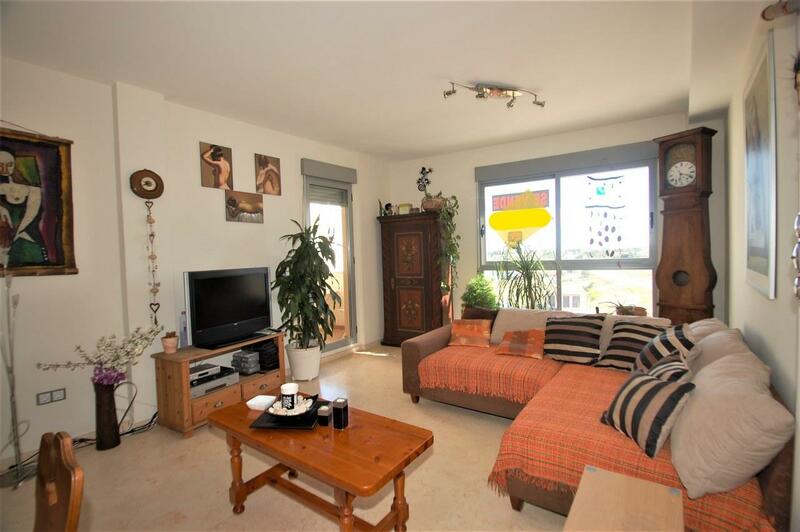 An outstanding feature of this property are the beautiful sea views from the living room and terraces. On the ground floor are all the main rooms of the property comprising of an entrance hall, 3 bedrooms, 1 bathroom with bathtub. 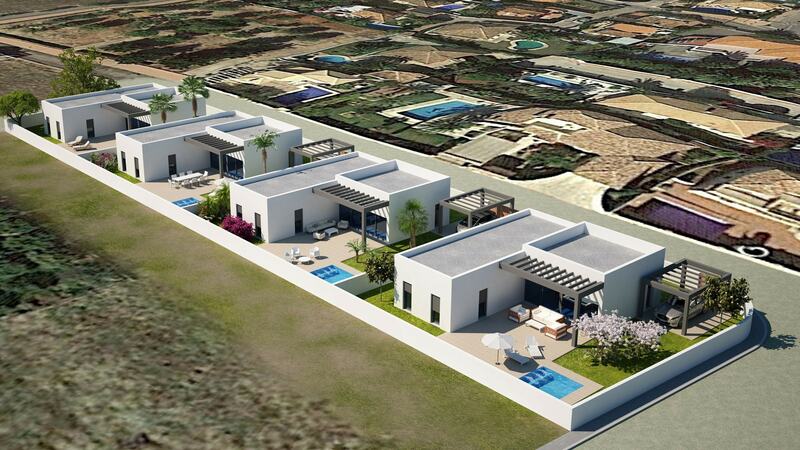 1 bathroom with shower (en suite), a living / dining room, an open kitchen and 1 covered terrace. The upper level, accessible via an attractive spiral staircase, has a usable office space and a huge private terrace with good views of the sea and the Segaria mountain. The apartment has one parking space in the communal garage and a closed storage room. Extras include: fitted wardrobes, 2 air conditioning units (h & c), electric water heater, aluminum windows with double glazing and blinds. 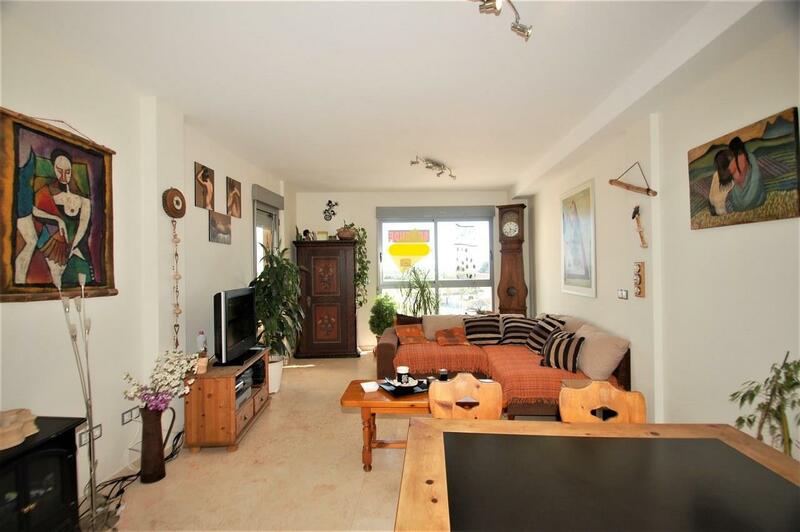 The property is sold partially furnished including electrical appliances. 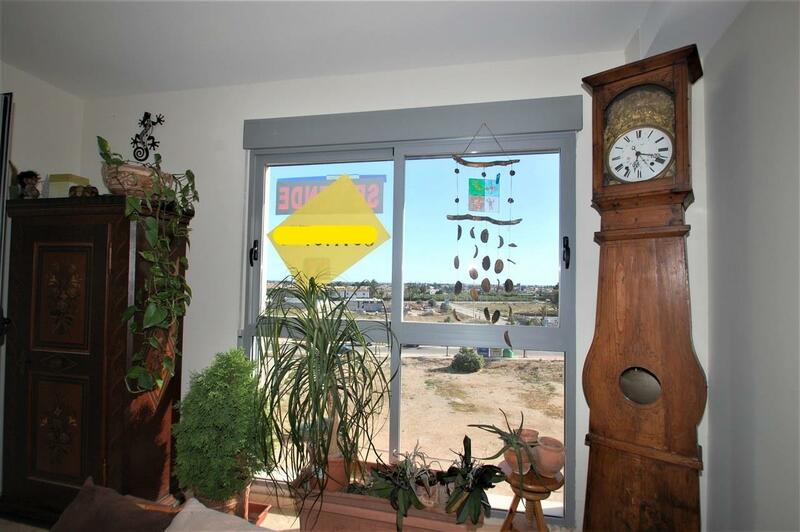 Community costs: € 160 / quarter (including garage).